Five times in the Qur’an does Allah ﷻ refer to the “honoured” or “Al-Mukramūn”. In part one of this two-part article we will be analysing these five passages as well as how we can work to be from amongst them. 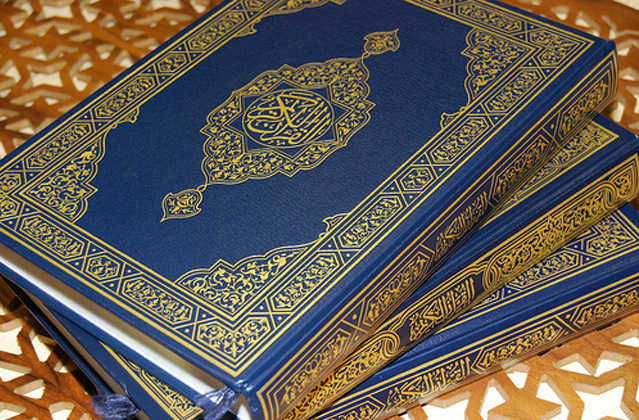 Al-Anbiyā’, Yā Sīn, al-Ṣāffāt, al-Dhāriyāt and Maʻārij are the five chapters in which the honoured are mentioned in the Qur’an. Thus, the angels are but humble slaves of Allah ﷻ that He has chosen to honour. It is important to note that as one learns more about Allah ﷻ, increases in faith and gains more knowledge they should also increase in khashyah of Him. This is the case with the angels. It was also true of the Prophets including our own Prophet ﷺ who despite having all his sins forgiven would spend all night standing in prayer until his feet had blisters. It is for this reason that Allah describes the scholars as those who truly have khashyah of Him ﷻ. However, even if one of the angels, for the sake of argument was to claim to be a god besides Allah ﷻ, they would be punished with the Fire. Thus, we see that the first group to be classified as the “honoured” are the noble angels of Allah ﷻ. Thus, the second honoured category is the righteous believers who will enter into Paradise. As such, this third occasion also refers to the righteous believers of Paradise as the honoured. Sūrah al-Dhāriyāt is the fourth chapter to mention the honoured. This time it is in relation to the story of the Prophet Ibrahim (AS). These were the three angels who came to Ibrahim (Peace be upon him) in the form of men. When they then refused to eat from his food, Ibrahim (Peace be upon him) became afraid at which point they mentioned they were angels who had come to give him glad tidings of a son. Therefore, in this incident as in Sūrah Al-Anbiyā’, the honoured refers to the angels once again. Allah ﷻ then mentions a number of the virtues of these people. Thus, the fifth category of honoured also refers to the righteous dwellers of Paradise. From the above five occasions on which the honoured are mentioned in the Qur’an, we conclude that they fall into two categories; the angels and the righteous believers who will be given Paradise. Therefore, the question is how do we ensure that the noble angels of Allah ﷻ, who only obey His commands and intercede for whom He is pleased with will intercede for us? The Prophet ﷺ understood the connection between these two honoured creations of Allah ﷻ, which is why the Sunnah is replete with narrations of those that the angels supplicate for and those they curse. It is this issue that part two of this article will look at in the hopes we can gain the supplications of the angels and safeguard ourselves from their curses.